Do you have a convention in Mercury or are you in need of temporary High Speed Internet & Wi-Fi for a convention in Mercury? LV.Net offers quality High Speed Wireless Microwave Internet access. Our High Speed Wireless service is by microwave transmission and provides access speeds up to 1 GHz without problems. LV.Net is very interested in serving rural areas. The long distance transmission capabilities of our radio relays, typically located on towers and in other high locations, allows us access to very remote areas without difficulty. Microwave transmission allows us to deliver High Speed Wireless internet where the competition does not. There are no issues with installing cables or wire with a Wireless Microwave System. And maintenance is without difficulties. High Speed Wireless Microwave Internet speeds are very comparable to fiber optic cable and other wired connections. In fact, wired systems sometimes have to travel longer distances through more connections than a Wireless Microwave System, and Wireless Microwave Internet can be better. Microwave radio transmission is very reliable, and has been used for deep space satellite communications. High Speed Wireless Microwave Internet is guaranteed to function well under most any conditions. We can also install Wi-Fi hotspots. LV.Net has been providing internet service for over 16 years and continues to expand its range of operations on a regular basis. We provide superior high speed internet and are the best choice for internet access needs. LV.Net provides High Speed Wireless Microwave Internet access for all types of locations. 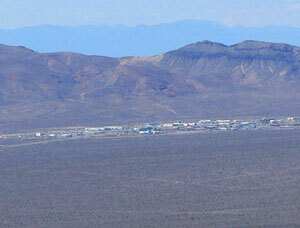 This includes homes, lodging facilities, business complexes, and desolate desert locations. And our coverage area is very wide. We serve most all of Nevada, including areas near and far, from Las Vegas, Henderson, Primm Valley, Mesquite, Pahrump, and parts of Southern California. Our Technical Support Staff is informed and capable with appropriate training in troubleshooting any problems. Our goal is to resolve any service issue in one phone call whenever possible. Service support is available 24 hours a day, 7 days a week, 365 days a year. Providing great customer service is always a top priority. LV.Net is also a multi service internet solutions provider. We are prepared to deliver all wireless needs, and we have the resources to service your next convention, show, or event in Mercury. Our data center services in Las Vegas are also SAS 70 and SSAE Type II Compliant. Please contact us at 702.900.0000 for quote, or send us an email. Have a convention or in need of temporary High Speed Internet 1Mbps to 1000Mbps in Mercury call us now 702.900.0000 for a quote or email us.